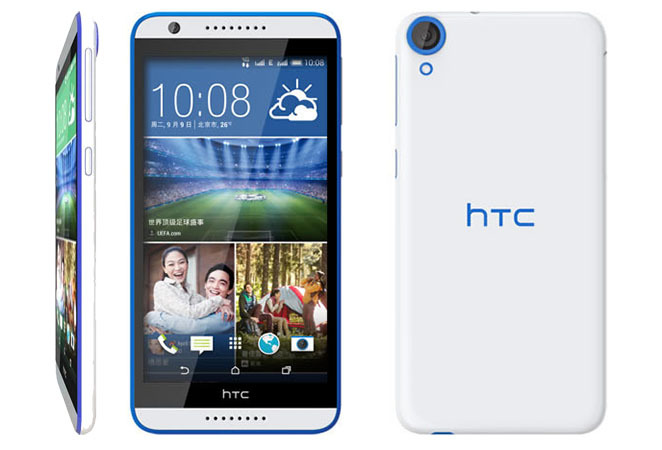 hTC Has launched Desire 820S Predecessor of hTC Desire 820, This smartphone loaded with majestic features such as 13 MP rear & 8 MP front camera, MediaTek octa-core 64-bit processor, 5.5 inches display, 16 GB ROM & 2 GB RAM, Dual- SIM support and 2600 mAh battery. The glossy plastic doesn’t feels so classy but the finishing of handset with blue and white colour combination makes it beautiful. The company retained its design and most of the features same as Desire 820 except MediaTek MT6752 64-bit octa-core in 820S and Qualcomm's 64-bit octa-core Snapdragon 615 SoC in 820. 32 GB expendable memory in 820S & 128 GB Expendable memory in Desire 820. In the brain it has MediaTek MT6752 which is 64-bit true octa- core processor, can’t say that it is giving best user interface, actually along with 1.7 GHz clock speed & 2 GB RAM its smooth enough for processing most of the tasks. The 13 MP camera with BSI sensor is not that great but it's better than many other 13 MP phones, It has good colour reproduction with satisfactory viewing angles. Low light photographs are not that good but in sufficient light it gives decent photographs. Selfie camera is also only good in sufficient lightening otherwise photos seems grainy. The battery is of 26000 mAh capacity and can only last for 18-24 hours but we thought its acceptable for 5.5 inches phablet. Good 720p display & viewing angles and overall display is good. Look is premium feels Good in Hands. Photographs taken from the camera especially in low light are not good. Set antiflicker settings to 60 Hz permanently it captures good photos in daylight. For lowlight Use d HDR options to get sharp photos. Set (4:3) and then you can select 13 MP and 8 MP camera. This handset is overall nice with good performance but it may disappoint you; if you want an amazing camera in your Smartphone, after all this handset belongs to hTC desire family so it gives you uniqueness in crowd.